According to Microsoft’s research, artificial intelligence will become a digital mainstay in Malaysian businesses in the coming years. 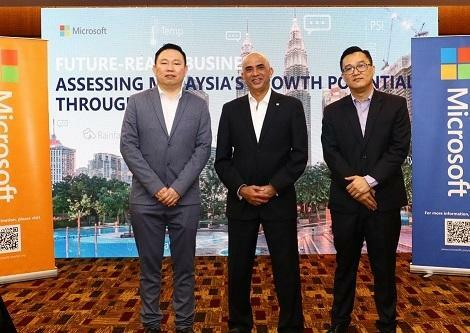 Microsoft, in partnership with IDC Asia/Pacific, recently conducted a study that surveyed 100 business leaders and 100 workers in Malaysia pertaining to the adoption of artificial intelligence (AI) in Malaysian businesses and the impact of such adoption towards the Malaysian economy. In the survey that was conducted last year (2018), only 26% of companies in Malaysia have actually begun integrating AI into their operations. The low adoption rate is attributed to two key barriers that are related to organisational culture on AI and limited employee skill sets. Conversely, the 26% that have embarked on AI would see an increase in market competitiveness at a rate of 2.2 times more by 2021. Microsoft suggests that AI would truly become a game changer in businesses across Malaysia as it has the potential to increase innovation rates at 1.8 times more as well as improving employee productivity by 60%. “AI is the defining technology of our time that significantly accelerates business transformation, enables innovation, boosts employee productivity and ensures further growth. 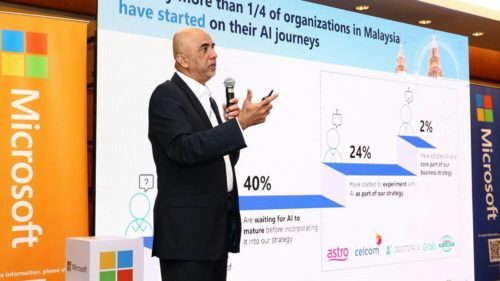 Economies and businesses that have yet to embark on their AI journey run a real risk of missing out on the competitive benefits that are enjoyed by early adopters,” said K Raman, Managing Director of Microsoft Malaysia. “Today, every company is a software company, and increasingly, every interaction is digital. To be successful in this new world, organizations need to be a fast adopter of best-in-class technology; and secondly, they need to build their own unique digital capabilities,” he added.